This “tuning in” sounds like sobriety to me. I have a few months of abstinence and have in the last 2 months started experiencing sobriety, it feels great! 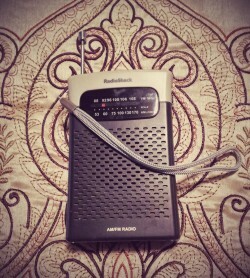 I remember these old radios, I used to have one. I always wished I could tune to my station and that the sounds I enjoyed would continue without interruption, it didn’t work that way! I always had to make little adjustments through the course of the day. I find the same thing to be true spiritually; for me to stay sober I have to stay tuned-in. For me tuning-in means hitting my knees immediately upon waking up and then reading scriptures and doing step-work first thing. Throughout the day I have to remember to ask for help from my Heavenly Father to adjust my tuner as internal and external conditions dictate. I can relate so much to the message and thoughts of this particular blog. It is so easy to get caught up with life and the happenings of every day life and to forget about listening to the spirit. I find that when I realize I am doing that I have to get busy and refocus my thoughts and desires. I really do want to always be tuned into the Spirit so that I can hear the promptings from my Father in Heaven. Singing a favorite primary song helps me a lot. So does reading a conference talk or calling someone and checking to see if they are okay or need a word of encouragement. These particular things seem to help me every time I use them. I appreciate the reminder of how important it is to stay tuned in to the right channel is.